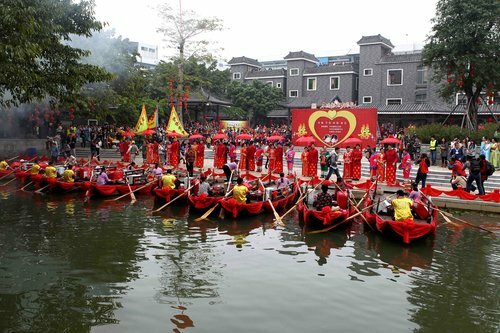 For centuries, the wedding traditions of people in Dongyong Town, in Guangzhou City, South China's Guangdong Province, has experienced many changes but still retained its traditional customs. 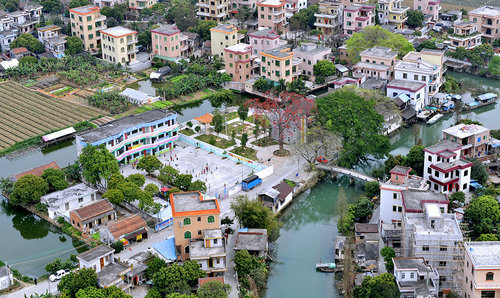 Dongyong is a beautiful water town with many rivers, broad farmlands, rich vegetation and fresh air. In Qing Dynasty (1644-1911), the locals lived in boats. 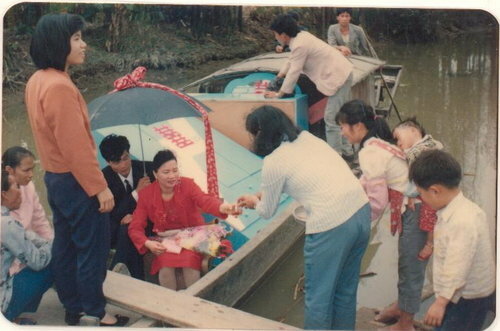 Three days before the wedding ceremony, relatives and friends of the bridegroom would ride on boats to the groom's home to help prepare for the wedding banquet. The banquet was held to celebrate their wedding on the first and following three days of the ceremony on the boats. 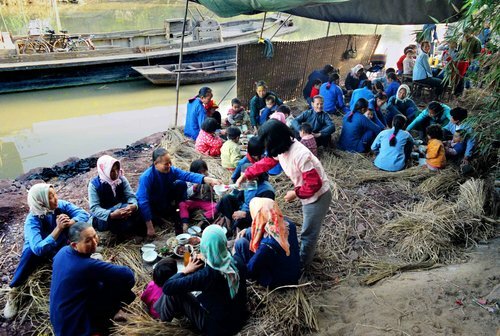 The dishes are simple but people eat happily. 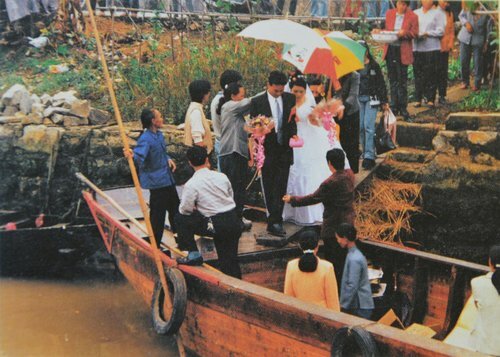 Before China's reform and opening-up, local grooms used to receive brides with farm boats, and the man's outfit was mostly borrowed from relatives and friends. Confined by their financial condition, couples had to use racks as tables and bricks as chairs for their banquets. Until now, locals have the good habit of packing leftovers when they attend a wedding. 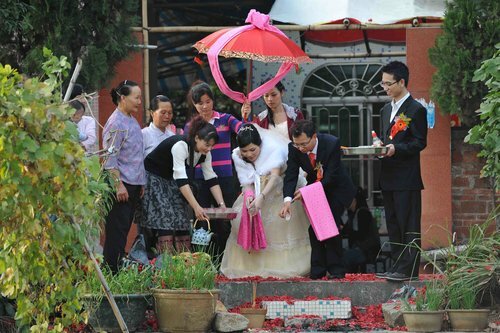 Since the reform and opening-up, the wedding ceremony has improved a lot given the better living standards of villagers. After 2000, the vehicles used to pick up the brides have changed from boats to motorcycles, small trucks, and cars to dozens of cars decorated with beautiful flowers. At present, locals still keep old traditions and want to hold a simple and bustling wedding ceremony. Holding the ceremony in their home is their first choice. In the new era, local young people are keen to hold group weddings, which are not only traditional and simple but also fashionable and meaningful.